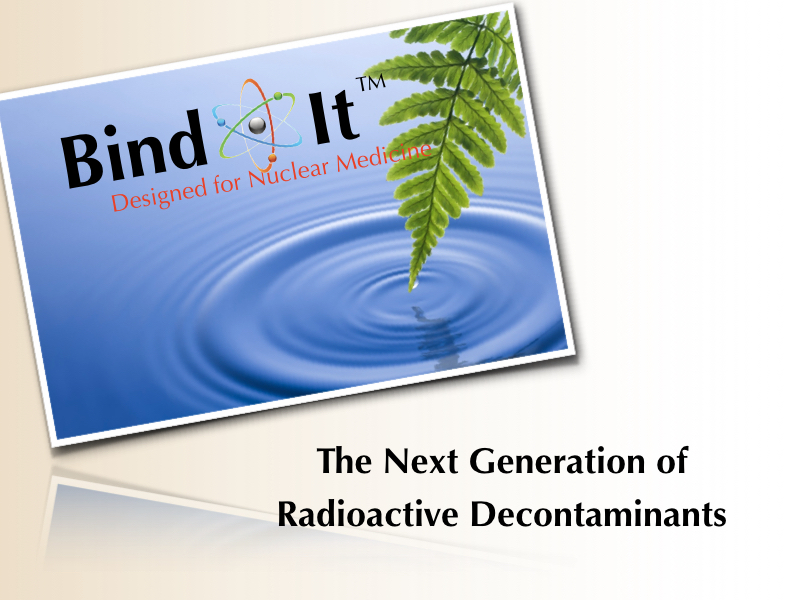 Bind-It™ is highly effective on all isotopes used in nuclear medicine, even radio-iodines. In fact, Bind-It™ is so effective at removing I131, that many hospitals which have patient isolation rooms place Bind-It™ Hand Soap in the rooms for the patients to use. This cuts down tremendously on contamination around the room. Post-patient cleanup made simple. Most decontaminants are designed to remove metallic isotopes. 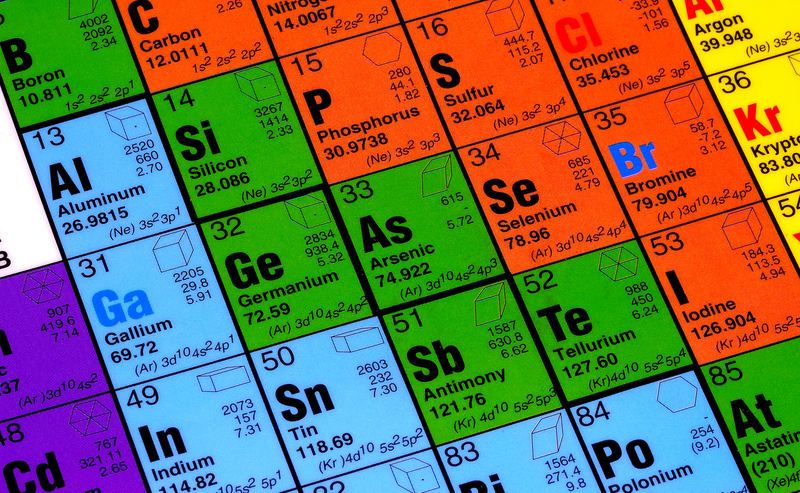 The problem is, not all nuclear medicine isotopes are metals. Take radio-iodines for instance. As a halogen, iodine is a real problem for older generation decontaminants. Bind-It™ spray is different. 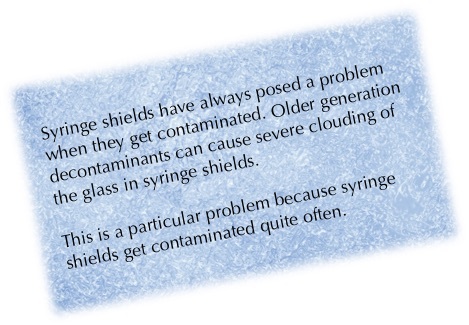 It will NOT damage syringe shield windows, L-blocks or fume hoods. It will not corrode metal, plastic or any other surface. Bind-It™ is an ideal cleaner for all hot lab surfaces. It removes dirt, dust, oils, grease as well as radioactive contamination. Using Bind-It™ spray regularly provides a protective barrier that aids in subsequent cleanups. NEVER AGAIN. Bind-It™ spray has a very mild, pleasant scent that does not change after isotope contact. Go ahead, use it before lunch - unlike others, Bind-It™ will not act as an appetite suppressant. Older generation decontaminants were never designed for use on your skin. 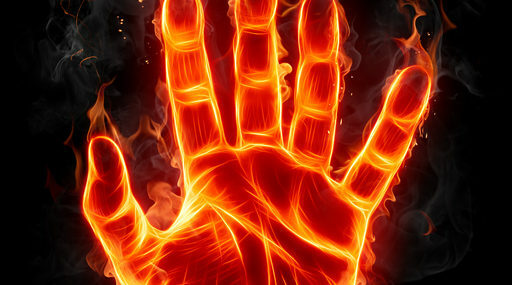 They can cause dryness, irritation - even burning. Don’t your hands take enough abuse at work already? Geiger tube based hand monitors have low sensitivity. Your hands must have a pretty high level of contamination before the monitor picks it up. Bind-It™ Hand Soap removes contamination every time you wash.
Bind-It™ Hand Soap will not dry your hands like ordinary lab soap. Bind-It™ Hand Soap has a fresh, clean scent. Bind-It™ Hand Soap is economical and convenient. 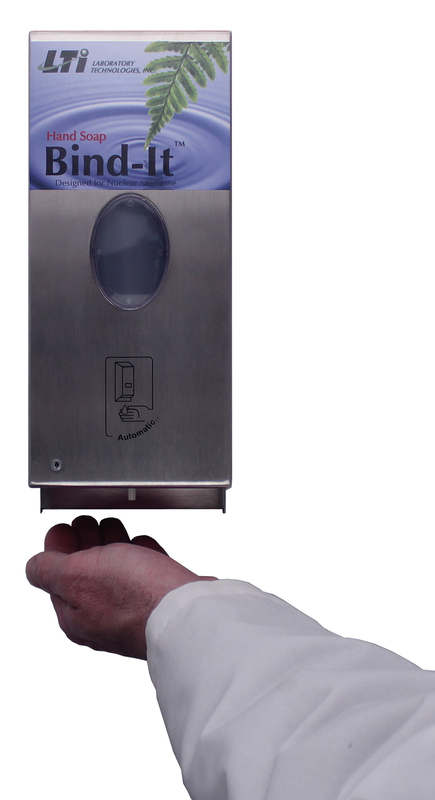 Our touch-free, wall mount dispenser makes it easy. Bind-It™ Hand Soap meets the intent of ALARA. Don’t take your work home with you. 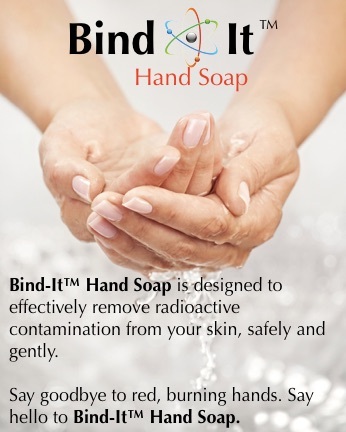 Switch from your ordinary lab soap to the one designed for nuclear medicine - Bind-It™ Hand Soap. Your hands will thank you.